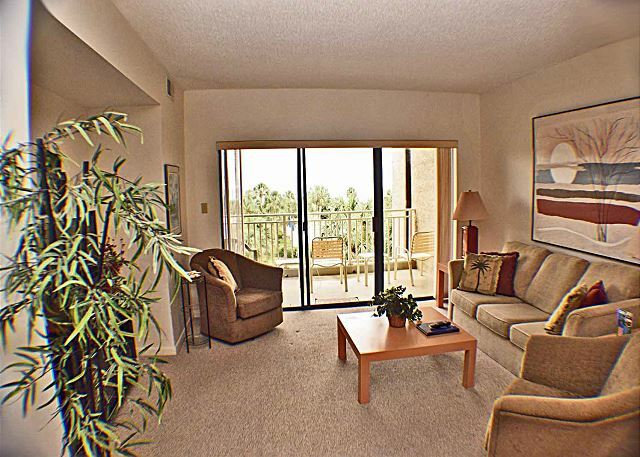 With a balcony accessible by the living room and master bedroom, guests staying in Shorewood 332 enjoy a great view of the Atlantic Ocean and the Shorewood pool area. After hours in the surf, vacationers return from the ocean via Shorewood's beach walkway and then dip into the freshwater swimming pool or a seasonally heated spa. Pool is Heated March 1 - April 30 and Oct 1 - November 30. Toddlers have a separate wading pool. Shorewood is a five story elevator building located in South Forest Beach. 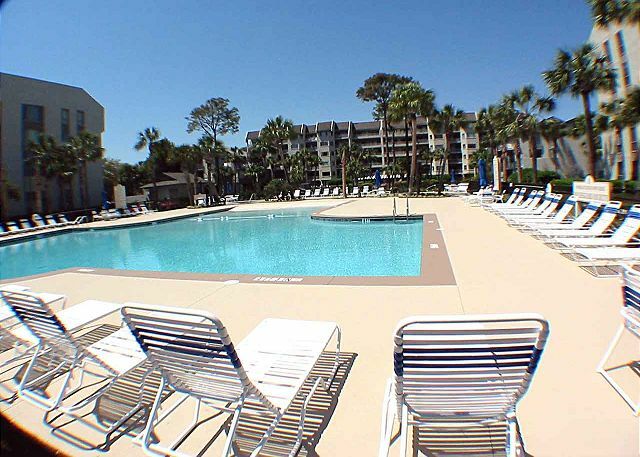 Among the amenities offered throughout Hilton Head Island, Shorewood is two blocks from the Coligny Beach Market, a quaint downtown area that offers guests a wide selection of restaurants, shopping venues, and entertainment for all ages. King in the master, 2 twins in the 2nd plus a queen size sleeper sofa in the living room. Very dated but we knew that going in as we booked only three weeks in advance. Please pass along to the owner that the mattress in the master bedroom desperately needs to be replaced. It is sunken in on both sides and I had to sleep in the center on the bed to be comfortable. Two people in this bed would be miserable. 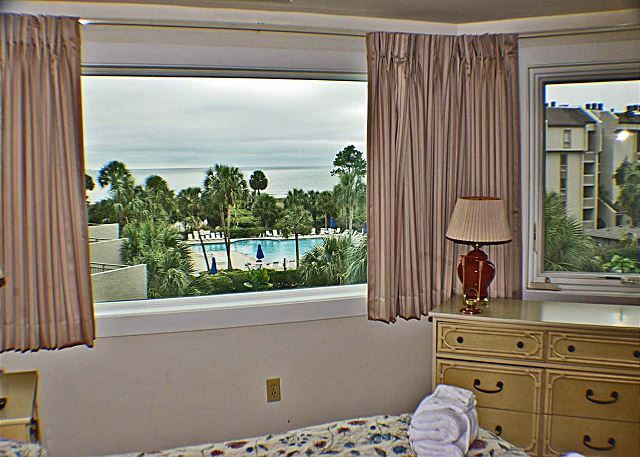 The condo has a great location - the ocean view is wonderful, it’s close to the ocean as well as within walking distance to Coligny Plaza. Location was unbeatable, and so was the value. We knew when we booked that we weren't getting an updated condo and that was ok. We werent going to be in the condo much and we didnt need fancy. However we did need a functional space and there were a couple maintenance issues that made using the appliances/features in the condo very difficult. The garbage disposal had a leak so we couldn't use part of the sink right away (although it was fixed within 24 hrs of us reporting it), the dryer lint filter was broken and kept falling off when the dryer was in use, and the kitchen housewares that were included (pots, pans, utensils) were so cheap, some of our food got ruined when we made dinner/bfast for our family. Also, the condo really needs paint and the bedding and mattresses were in desperate need of replacement. They weren't comfortable at all to sleep on. Overall, we had a great time,l due to the location, and the condo was clean. 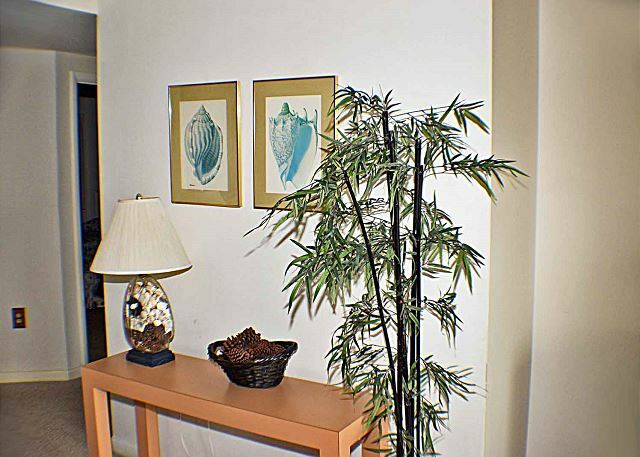 But some simple changes without having to renovate the condo would make it a lot more functional and enjoyable. Because of those reasons, I would probly spend a little more money to get a more functional space. Rental experience was great. Mobile app was very helpful. We really enjoyed our stay. The parking garage was really nice, it did rain a couple of days when we were there. The unit could use a little updating. The floors were dirty near the windows and the sinks in the bathrooms were dirty. 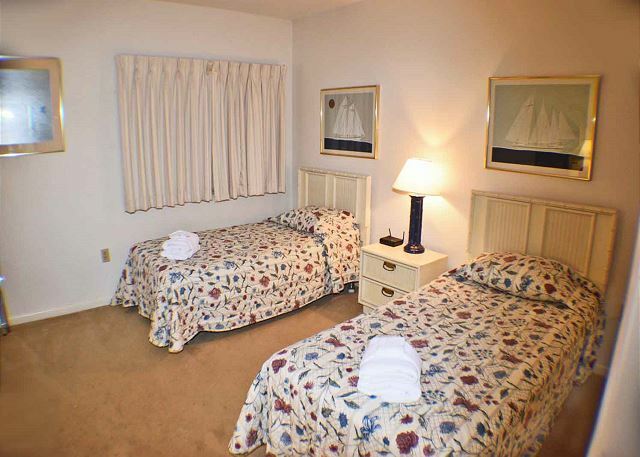 The bed spreads in the front bedroom were dirty, one had a bad stain. 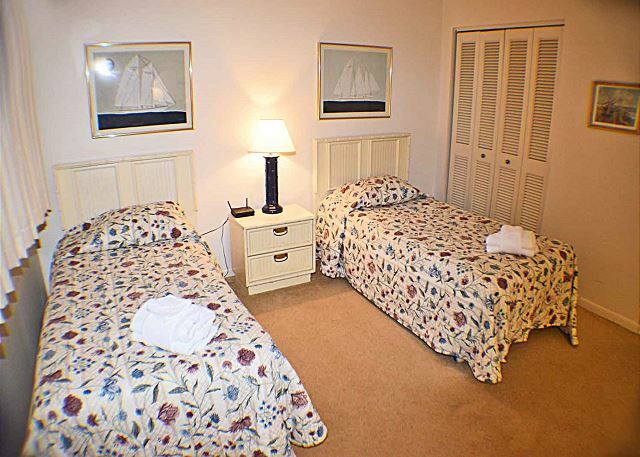 Very positive experience with Seashore Vacations and with the location of the rental property. 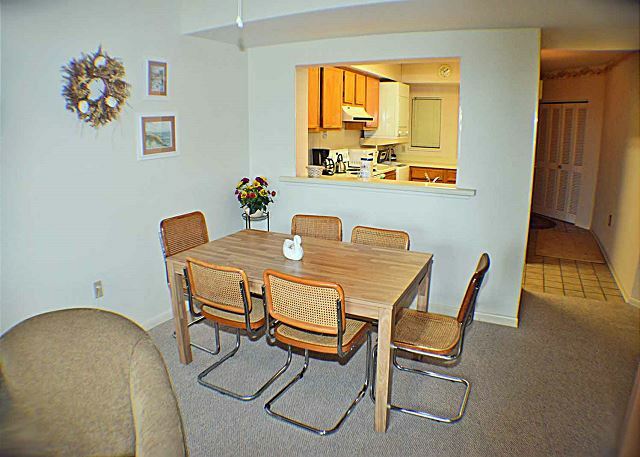 We are a family of 5 and were very comfortable with the unit and its cleanliness, kitchen and appliances, etc. Some could be upgraded (like the coffee machine) and their could be some minor improvements around the tub and baseboard of the bathrooms. 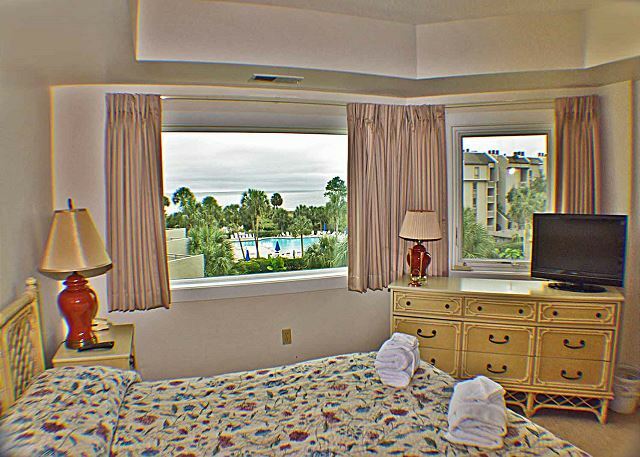 Good ocean view and beach access, plus nice big pool and hot tub, for after the beach. 2 blocks away from Van der Meer Tennis Academy where our 3 children were registered for the week. Everything was just as described and in a good clean condition. The location was perfect. Didn't spend alot of time in the rental. But what time we were there it was comfortable and served it purpose. Enjoyed Shorewood but unit 332 needs a lot of updating. The kitchen cabinets are the originals and some are falling apart. The living room tv could have been larger. Furniture was cheap and dated. CabinetS were worn. Bedroom carpets were worn and dirty. New washer and dryer worked well, though dryer vent is not hooked up and blows lint into the kitchen. View was good and plenty of parking. Guards were nice and grounds were well maintained. Love the pool and beach access!! Overall it was great. We love Hilton Head. Shorewood is a great location. Shorewood 332 could use some updating. Dryer is very slow. Very satisfied with condo. Great view. Have recommended this to people here in Cincy. 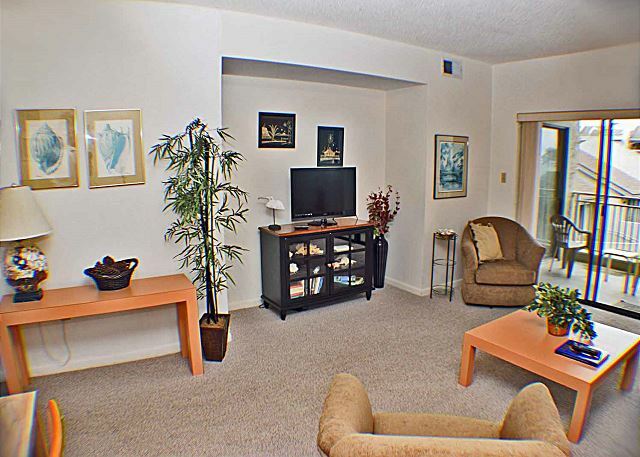 Chose this at last minute because it was available, had two bedrooms, and a heated pool in March. Way after hours check in went smoothly. There is covered parking for one of your vehicles. Unit equipment and furnishings are adequate, old but serviceable. Drawer sliders are getting worn, some wood trim is showing it's age, the vinyl on bathroom floors is a bit curled in places, etc. That being said, it is a good location, worked well for our family of 4, and is fine if you're not expecting the Taj Mahal or a gourmet kitchen. 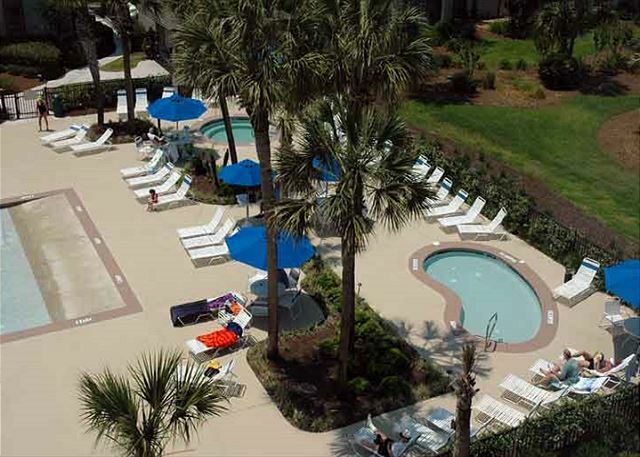 Our goals were tennis resort sampling for me and general low country fun for the rest. 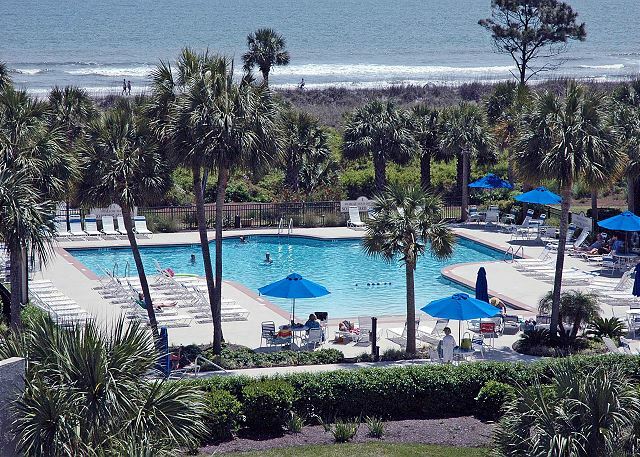 It is a fifteen minute bike ride from Van der Meer, and a 15 minute drive to Palmetto Dunes. 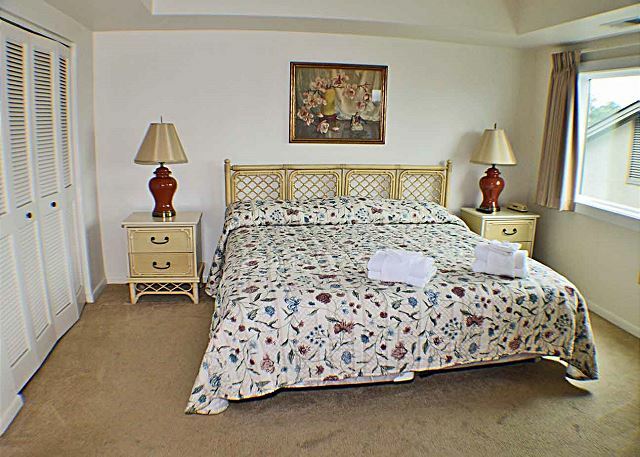 Coligny Circle with local coffee shop, restaurants, shops) is a 3 minute walk. Ditto beach. Surf cold so the heated pool was nice. Activities we did: found clams on Port Royal beach, (delicious clam linguini that night), toured Defuski Island, kayaked, rented a boat and cruised the area waters (found some oysters and had some steamed oysters for dinner)watched the obligatory dolphins which are ubiquitous, and took a Segway tour. I played tennis at both Van der Meer and Palmetto Dunes, and learned something at both. 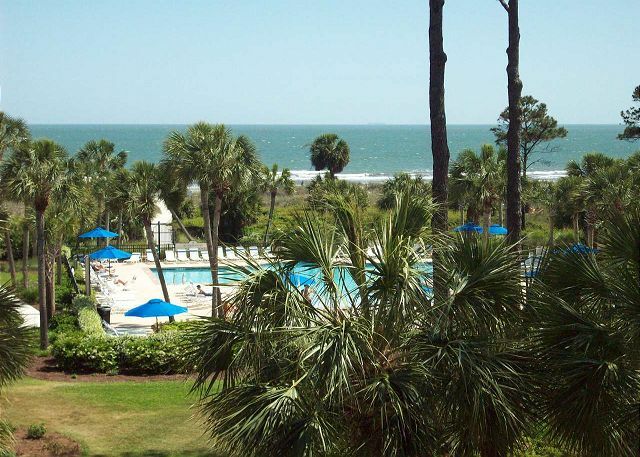 The Hilton Head vibe is moderate upscale, without any observe snootiness. We felt "in place". Traffic wasn't bad. Bikes are a great way to get around. When we checked out, we got a call from the cleaners about an item we'd left in the freezer, which was nice. I'd recommend this unit and location. The view of 332 is gorgeous. The unit was dirty and not in good repair. The unit needs updating, drawers falling out in kitchen and the countertop is splitting. Besides this, we love Shorewood and the amenities. Hopefully these repairs will be done as this could be a wonderful unit to rent. We heard about Shorewood from friends who have stayed there for many years. Although they had told us how wonderful it was, you just never know, right? Well, from the moment we walked into "our" condo, we fell in love with the place. It was clean, smelled nice, and had everything we needed for our week. The only odd thing that I noticed was that there was no cover or pad on the mattress to keep it clean/protected. The view was lovely. The pool and hot tub were also clean and felt fantastic. We would most certainly stay there again. My wife & I thoroughly enjoyed our stay. We will definitely be back! 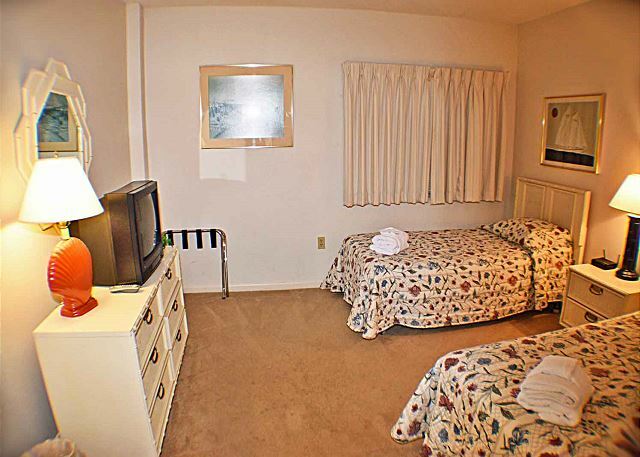 Unit 333 was overall very accommodating with decent amenities. The few complaints I have are as follows: it would be nice if you supplied a few staple items like salt, pepper, sugar, maybe a couple spices, and some garbage bags etc. Also this unit didn't have some necessity pans like 9x13 casserole dish or muffin pan. Our ironing board was broke, the guest room closet doors were broke and just sitting on the ground, and I was told to get a high chair I would have to rent one. Despite the few complaints, our experience here was great. The condo had dimming switches which was nice since we stayed with small children, and the sofa, beds, table etc were all very nice. I would recommend this property and this management company to others and would say to request an updated unit. As always Seashore vacation staff provided a great experience. I always find the property as described. Check in goes smoothly and any issues are addressed quickly. 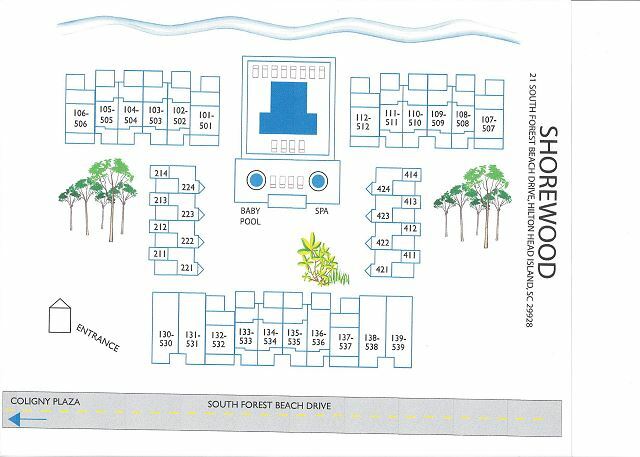 Shorewood is in a fabulous location on the ocean in S. Forest Beach with a terrific pool. 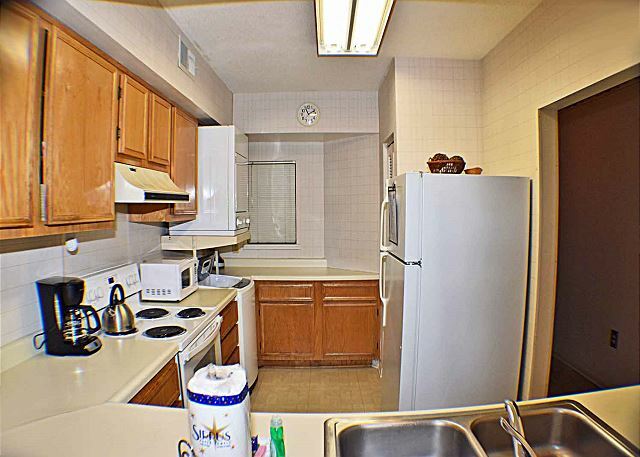 The units are spacious and clean...but many are in need of updating. Functional... but all the kitchen drawers are in terrible shape - most don't open and close properly. 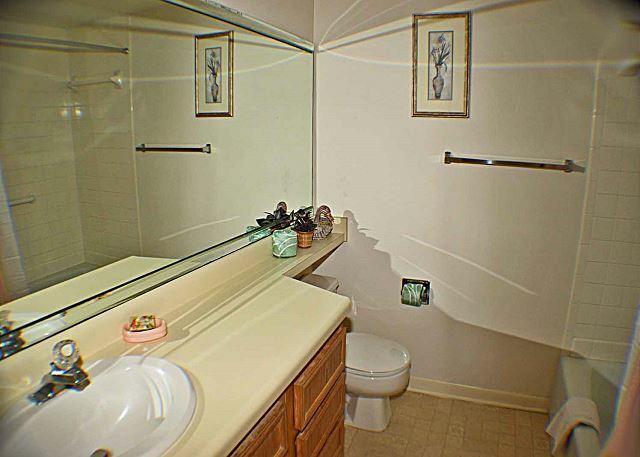 Bathrooms are OLD but, again, functional. The beds and pillows - not comfortable. And judging from the print on the mattresses, probably original to the units from 1975. And the only reason we saw that print was because the sheets and mattress protectors are so old and worn that they would slip off the mattresses during the night. But...again ... it was what we expected. There are 3 TV's in the unit which is a bonus. And the view is very nice. We booked last minute so we didn't have the best pick of units as far as condition, but we did get a nice view which was more important than a more updated unit. First Time on Hilton Head Island was great, we will be back. This was our first trip to Hilton Head and we had a great time and we are thinking about coming back next year. Our condo was great! We loved the location and if we are able to make it back next year we would rent the same condo. I only have a few minor suggestions, but nothing that would keep us from coming back. The dryer and sweeper in our condo could use an updated. Also a couple of the kitchen drawers need fixed. The last suggestion I would like to share is regarding the bike racks outside of our building. One or two more bike racks would be great, especially near the first building as you enter the complex gate. The week we were there was so many bikes jammed into the rack you could barely get your bike out without a struggle and some guests were unable to use the rack at all. We all that said those were all just very minor problems. Our first trip to Hilton Head was better than we than we expected and our condo was great and very clean. We also loved that Shorewood was gated to enter the complex and gated to get to and from the beach. We felt very safe. Parking was great and Shorewood's location was within walking distance to pretty much everything you need while on your trip. Great experience! The dryer did not work properly. A new dryer was ordered but would not be there for several weeks. Therefore, we were able to move to a another unit. That was very nice!! The condo is in a good location with a great view. However, it is in desperate need of updates. The pots and pans has sawdust in them which gets there when you open and close the cupboards. 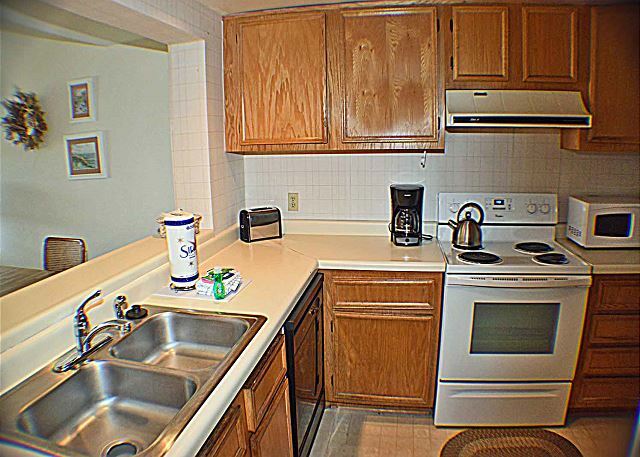 The kitchen cabinets are in poor condition and don't open and close properly. You have to hold the drawer closed in order to open/close the dishwasher. We loved the condo. Great view of the ocean. Condo was very clean. Everyone was great to work with. Will definitely be back next year. My wife and I stayed in this unit in 2011 and 2012. In 2012 my daughter, son-in-law and granddaughter stayed stayed with us. The unit was very nice but had a few problems. The blinds in the master bedroom had slats missing and needed repair. Also, the drawers in the kitchen had to be handled carefully so as not to drop their contents. Also, the air conditioning in the second bedroom was insufficient to cool the room. I believe most of these problems were due to usage over the summer (we came in late summer), but they did not ruin our stay. We had a great time and would stay again. 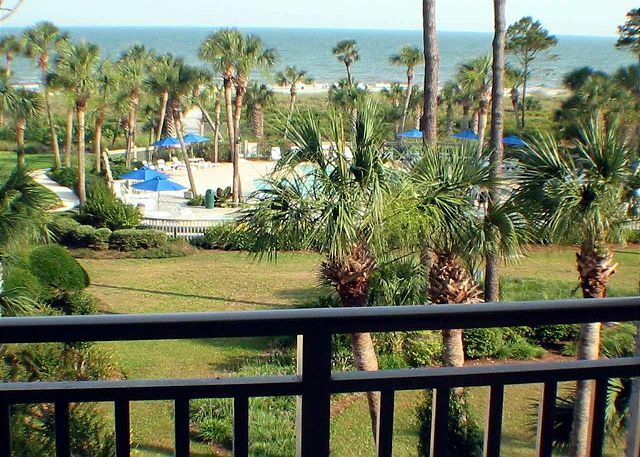 We stayed at Shorewood 332 over the 4th of July Holiday, what a great place for a family vacation!Right on the beach and close to everything Hilton Head has to offer! This was our second trip to Shorewood and we will be back next year! 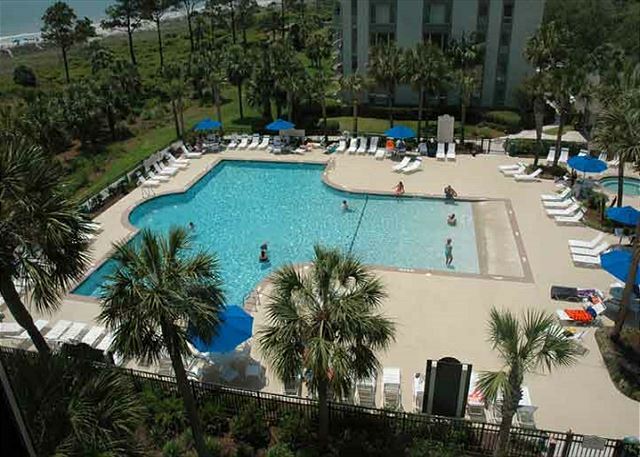 Perfect location, the pool was very nice and the walk out to beach great! The unit is in some need of updating. We truly enjoyed our vacation and I plan to stay at Shorewood again. The title describes our overall experience. 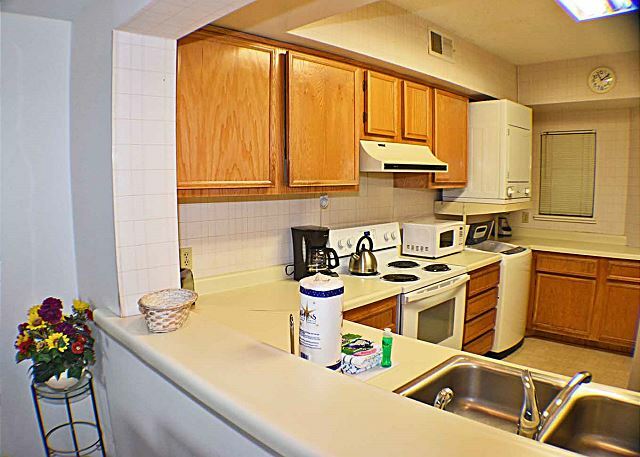 The unit also could use a few more pots, pans, utensils and overall updating. 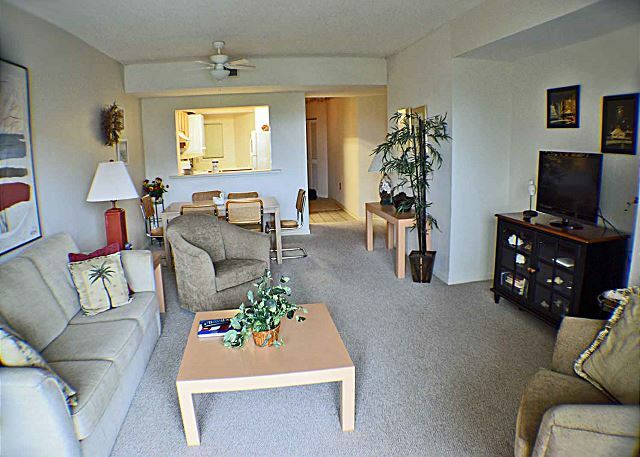 But still a good deal for the money and we were very grateful to be able to rent the unit. We booked VERY late for a quick getaway St Patty's weekend. Buddy, along with the rest of the staff at Seashore Vacations were incredible to work with. This was our first ever trip to HH as we typically stay in Tybee and or Savannah. 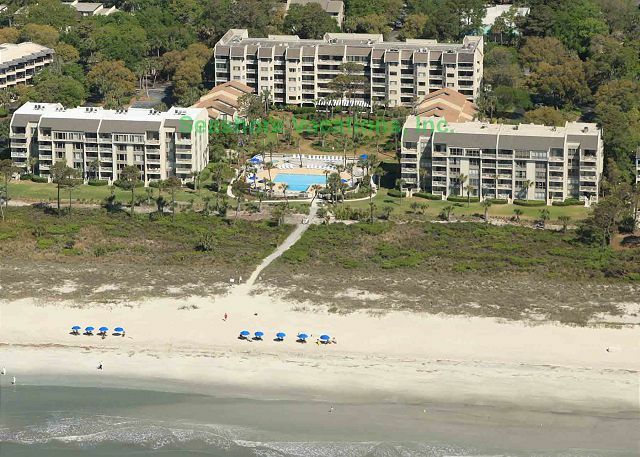 Having dealt with many other travel management companies, it looks like Hilton Head will be our new haunt as working with Buddy and team was a breeze.Everything at the condo we stayed in was within walking distance, the people were friendly, good food and drink, great beach and weather. What else could you ask for... really. We have stayed in these (Shorwood)units off and on for nearly 10 years. The units are beginning to show age and wear and tear, but you expect that. This unit was about as perfect as it could get. The cleanliness, the view, the location, the amenities all made our visit great. We would not hesitate to stay in this unit again. I loved the view and the place was clean. My only reservation were the mattresses they made getting a good night sleep difficult. was very clean, other than the carpet, which was dirty and heavily stained. We look forward to staying there again. Nice play to stay. Love Shorewood. We've stayed here several times in different units. Great location (more convenient than staying in plantations and just as nice) and new pool with zero depth entry is perfect for little children. This condo is a little outdated compared to others with granite coutners, hardwood floors, and other remodle updates, but the price is less so a good compromise. 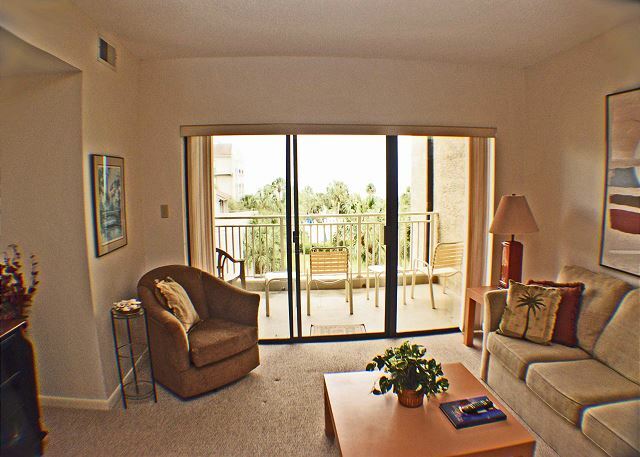 This property is in a great location and the view of the ocean is perfect. 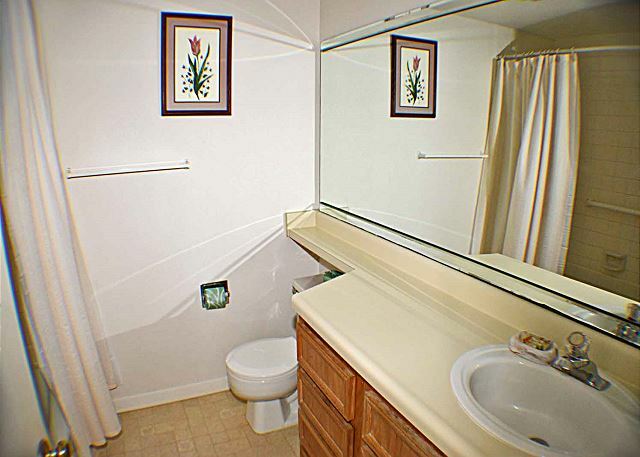 The unit is clean and there is ample space for a group of 5. The condo is in need of an updated washer/dryer but we will stay here again.